Retreat At Old Vinings - This Subdivision Features Tennis Courts, Swimming And Its Very Own Lake Available For Fishing! 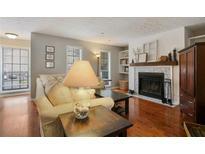 MLS#8538823. Exp Realty Llc. Vinings Vail - Just Minutes To I-285, Smyrna Market Village, Vinings Jubilee, Silver Comet Trail And Much More. MLS#6510891. Keller Williams Realty Atl Perimeter. One Ivey Walk Vinings - Pool/Fitness Ctr/Clubhouse+ Walk To Awesome Restaurants/ Shops Just Outside Gate. MLS#6515201. Berkshire Hathaway Homeservices Georgia Properties. Convenient To Buckhead, Downtown, Braves Suntrust Stadium, Hartsfield Int'L. Airport And More! MLS#6511645. Atlanta Luxury Homes And Condos Inc..
Ridge At Vinings Estates - Amazing Wooded, Sunset Views. Plus Unfinished Basement. MLS#6509180. Beacham And Company Realtors. Mosaic At Vinings - Tandem Garage Offers Lots Of Space And Storage Throughout The Unit. MLS#6508629. Redfin Corporation. One Ivey Walk Vinings - Hardwood Floors And Plantation Shutters Throughout And Seven Walk-In Closets. Walk-Out Deck For Outdoor Living. MLS#6508003. Realty One Group Edge. Live Maintenance Free Within A Short Distance To Vinings Jubilee, West Village, The Battery/Suntrust Park, Silver Comet, Grocery, Shopping And Hwy 285/75. MLS#6129632. Keller Williams Rlty-Ptree Rd. Master Bedroom With A Walk-In Closet And Spacious Second Bedroom. Amazing Neighborhood Amenities. MLS#6128837. Keller Williams Rlty-Ptree Rd. View Of Family Room From The Kitchen With 9' Ceilings Give This Condo A Vast Open Feel. All Appliances Remain Including Washer/Dryer. MLS#6128544. Paramount Brokers Inc.
Vinings Crest - Fenced Backyard For Privacy.... Close To Suntrust Park & Vinings Jubilee. MLS#6127565. Atlanta First Realty Group, Llc..
Vinings Crest - All Of This In A Gated Community Less Than 2 Miles From The Battery Atlanta, Vinings Jubilee, Cumberland Mall & I-285/I-75. MLS#6122693. Berkshire Hathaway Homeservices Georgia Properties. Vinings Ridge - Swimming Pool Community. New Hvac And Water Heater. MLS#6122593. Chapman Hall Realty.